People with disabilities engaging in our community. Mission Statement: Empowering and equipping people with disabilities to be part of the Upstate community. GVL Ability is a group of people with disabilities who live, play, visit, or work in the Greenville area. 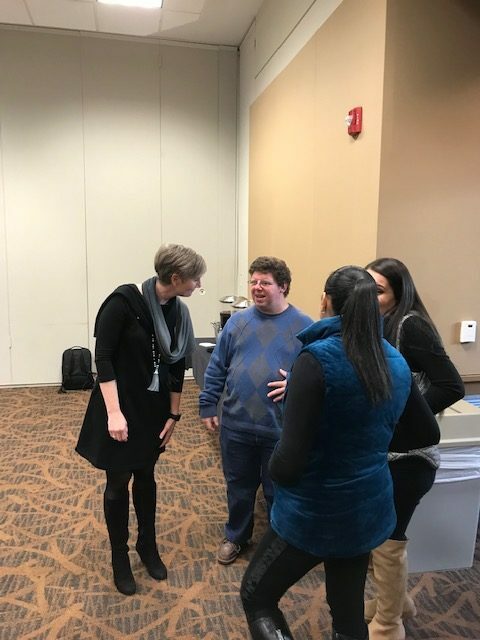 We want to be involved in the Upstate by being a voice for people with disabilities, sharing resources, and working together to make Greenville a better place for everyone. GVL Ability is first and foremost a community of people with disabilities who want to support each other. It is also a way for people who want to make a difference in the community by doing things like volunteering or taking a leadership role in the community. Members get to choose how much they want to be involved. There are no requirements for how much members have to be participate. GVL Ability is open to any person with a disability, no matter what the disability. We grow stronger by working together. If you have a disability or know someone who has a disability, find our private group on Facebook and make a friend request. Tell us how to get in contact with you and much you want to be involved. Do you want to just check out our Facebook posts? Do you want to come to events every so often? Do you want to volunteer? Do you want to make an impact on your community by joining a committee or board? Just let us know what you want to do and we will point you in the right direction. Email us at GVLability@greenvillecan.org for more information and / or to get involved. In 2018, Greenville CAN recognized that there are many people with disabilities in the Greenville area that want to join other people with disabilities, and make a positive impact on our community. 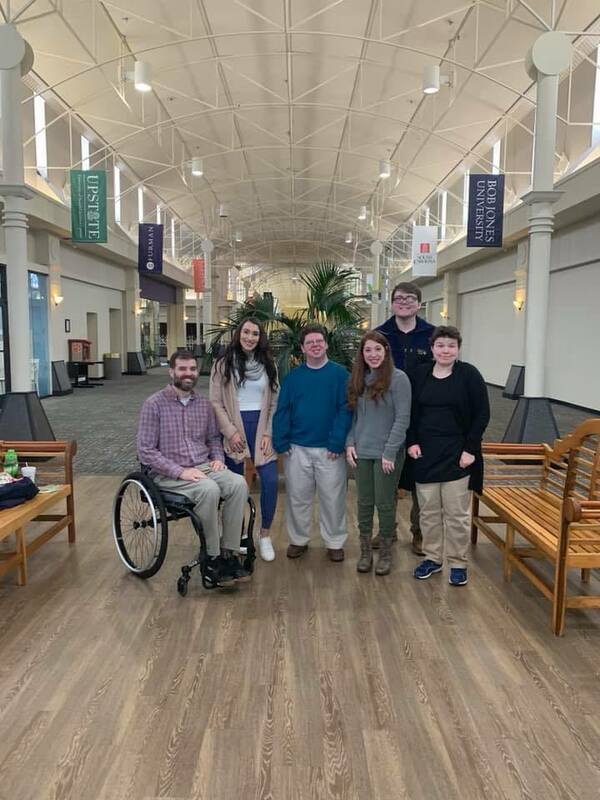 Members of Greenville CAN Leadership Team who have a disability saw an opportunity for people with disabilities to move past the idea that they are helpless and show people how they can make Greenville a better place. We created GVL Ability so that people have a community of people they can lean on. GVL Ability is a guide for people who want to make a difference, but don’t know where to start. We are people that want to make Greenville a wonderful place for everyone, and we support other people with disabilities who share that same goal. GVL Ability encourages its members to take an active role in their community. For too long, people with disabilities have had no voice in their community. Other people have spoken for us, while that has been appreciated. It is time for people with disabilities to speak up for ourselves. It is time that we are seen and heard. We have a valuable perspective that should be shared, and we no longer need to wait for someone else to share it for us. Our philosophy begins with the truth that people with disabilities are equal and just as capable as people without disabilities. We value independence, access, freedom of choice, and inclusion. We also believe that if people with disabilities want to see positive change, it is up to us to make that happen. Whether that be volunteering in our community, or becoming an advocates and leaders. We know that we can do these things, and our community will be better off because of it.